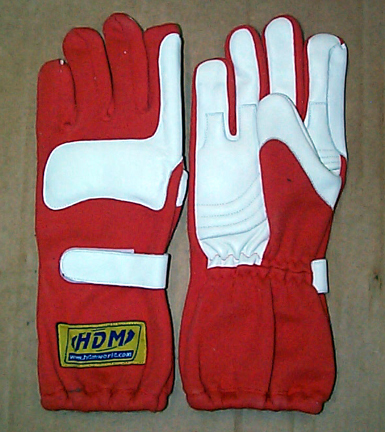 The HDM Karting Gloves are constructed to last. 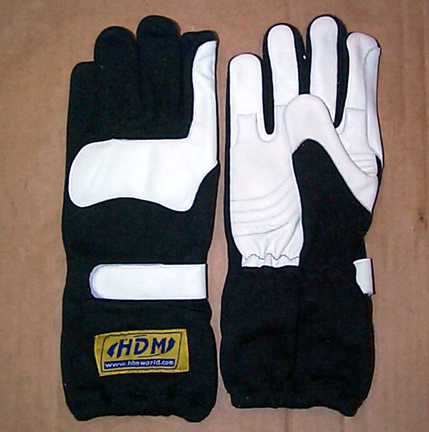 The padded leather palms provide excellent grip and wear resistance. 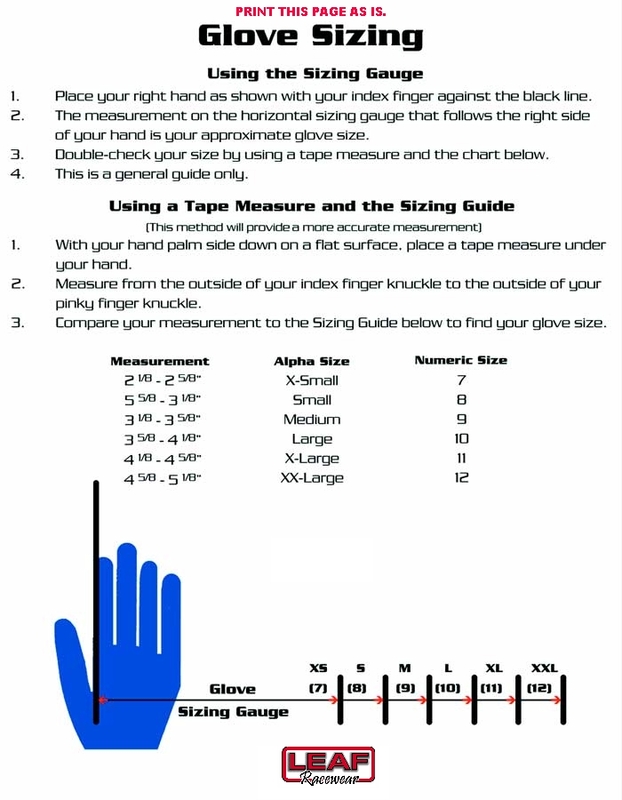 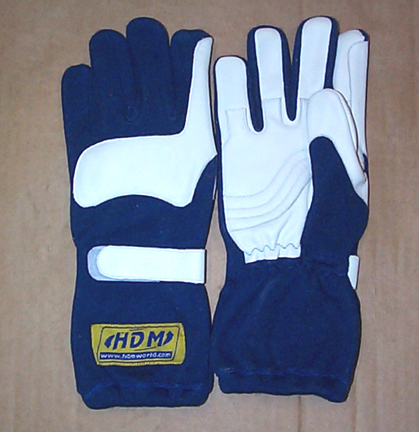 The HDM gloves are manufactured with a gauntlet cuff and are supplied with a Velcro wrist strap and elastic forearm closure.